Nintendo crammed a lot of news into yesterday’s Nintendo Direct, but with that came some questions, ones that might not have concrete answers right now but are still worth some discussion. Do we now know about all of Nintendo’s big 2019 Switch games? It’s only February, but consider what we now know is announced for the Nintendo Switch in 2019, coupled with Nintendo’s propensity to publish about one or two notable games for one of their platforms each month. Throw in some sort of new release or two related to the company’s cardboard-and-video-games Labo line. There isn’t much room for another surprise game from Nintendo, is there? Maybe a Metroid Prime Trilogy collection? One of those inevitable Kirby games? Or some more smaller download-only games? Is the 3DS actually sunsetting soon? Since the days of the NES and Game Boy, throughout the parallel lifespans of Nintendo’s handheld and console lines, Nintendo has split its publishing efforts across two (sometimes three) devices. One promise of the Switch was that a Nintendo machine that could work as a home unit and a portable could see a doubled output from Nintendo. As chock-full as Nintendo’s Switch line-up looks, if Nintendo were to, say, finally streamline down to publishing games for a single piece of hardware, they might start putting out more games per month. Could we be on the verge of that? Consider where the 3DS is now. The pending demise of the 3DS has been predicted many times before, but Nintendo defied such speculation in 2017 by releasing a new model of the machine, the 2DS XL, even after it started selling the portable Nintendo Switch. By continuing hardware support for the line, Nintendo also continued software support, primarily with some remakes, newly localized games for the west, and ports, which trickled all the way into 2019 with January’s Mario & Luigi: Bowser’s Inside Story, February’s Yokai Watch 3, and March’s Kirby’s Extra Epic Yarn. 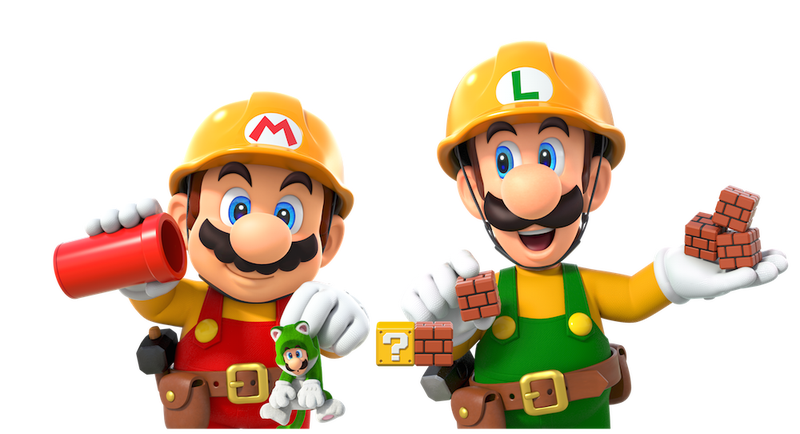 Nintendo’s 2018-2019 fiscal year ends at the end of March. After that, the number of announced Nintendo-published games for 3DS is zero. My insightful colleague Chris Kohler sees two scenarios here: they need to announce a new year’s worth of games or “admit it’s dead and, probably, introduce the smaller, handheld Switch.” The latter seems more likely to me, so, because it’s Nintendo, they’ll probably do the former. We’ll find out soon. Will Nintendo Switch Online might be the home of more new, original games? One of yesterday’s bigger surprises was the announcement and immediate release of Tetris 99, a battle-royale-style Tetris game published by Nintendo and developed by the publisher’s longtime development partner Arika (maker of such disparate titles as the meditative underwater exploration series Endless Ocean as well as Dr. Mario and Dr. Luigi games). The game is free to subscribers of Nintendo’s online service, which up until now has only offered players online play and a smattering of classic Nintendo Entertainment System games. The obvious next move for Nintendo Switch Online was for Nintendo to start selling Super Nintendo or Nintendo 64 games. Instead, we got an original online-only game. That would be an unusual but interesting way for Nintendo to expand the service. What’s next? A Pushmo MMO? Who knows, but let’s float that one just so we can all imagine them seizing the opportunity to call it Pushmmo.